The best film of the year is quite easily Milos Forman's stunning film which does so much more than just tell the story of Hustler magazine publisher Larry Flynt. This film surprised me on so many levels -- the main story at one time seems to be the fight to preserve the rights and freedoms given to us under the First Amendment, allowing free speech to cover even a pornographer like Larry Flynt. That in itself is a very important story worth telling, and Flynt's story of taking his case all the way to the Supreme Court is an intriguing, truly American story all its own. But the part that really took me by surprise was the incredibly well written screenplay and the true heart of the story -- the romance between Flynt and Althea Leasure, portrayed by Courtney Love in a performance of incredible strength, surprising subtlety, and fresh vitality. She deserves the Oscar hands down. Their relationship, as it goes through all the bizarre and trying events in Flynt's life, including an assassination attempt which leaves Flynt paralyzed, is a stunning and freshly realized on screen love relationship, its success due in no small part to the performances of Love and Woody Harrelson. This film is such a fresh new addition to the history of cinema, in the very realistic portrayals, fresh dialogue, and pure simplistic filmmaking, done superbly by director Milos Forman. Case in point is the final scene as Flynt's attorney, again revealing another great performance by Edward Norton, stands in front of the Supreme Court and tells them and us why the First Amendment should be held up, to ensure all future freedoms. This is one incredible film containing not only an important message, but also a story rich in historical detail and rich in a story of tragic love. Quite deservingly, it is the best film of the year 1996. Finally, a film that breaks a conventional story line into a story that celebrates the theme that integrity and honesty to one's self is so much more important than winning arrived with the surprisingly unconventional movie about golf and romance, Tin Cup. As director Ron Shelton did so well with Bull Durham, he takes a sport, this time golf, and makes a movie revolving around it rich in a love for the game, brought across to even those who might not love or know anything about the game. But around the story of a down on his luck golfer who tries to redeem himself by playing in the U.S. Open, the film is also a very relaxed and rich story of romance between Kevin Costner and Rene Russo, who both give incredibly warm and real performances. Again, this film is a success due its crisp dialogue and witty screenplay, giving us a story that truly uplifts and says something truly great about the human spirit. In addition, Cheech Marin deserves the supporting acting Oscar hands down for his incredibly funny and endearing performance as Romeo, the caddy with a heart. Joel and Ethan Coen's quirky film, based on a true story, was one of the most refreshing surprises in an otherwise disappointing year from the major studios. This was definitely the best independent film of recent years, once again, a film of rich writing. The Coens take a completely different approach to telling such a dark and twisted tale that it really becomes a classic black comedy. Frances McDormand is truly incredible and endearing as a pregnant police chief who attempts to unravel the tangled web put together by a man desperate to get money by having thugs kidnap his wife and demand a ransom, only to have so much go wrong. Definitely a film of true originality, it deserves to be long remembered. 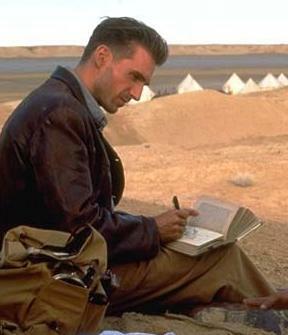 Anthony Minghella's moving and beautifully shot adaptation of the best selling novel is one of those grand period epics Hollywood loves to honor. 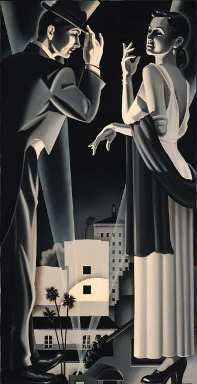 The film manages a very complex story, as a wounded man must recount his past in the attempt to remember it. Love, betrayal, and the horrors of war all combine into a film of incredible power and subtlety with truly rich performances from Ralph Fiennes, Kristin Scott Thomas, and Juliette Binoche. The film is also a triumph of cinematography, with some truly beautiful visuals, and a subtle yet emotional score by Gabriel Yared. This film was a shining example that an original thriller / action film can still be made. Kurt Russell gives a solid performance in a very different terrorist-hijacks-an-airplane type story, where a crew of expert military men have to board a 747 in mid-air and accomplish their mission in the bowels and other areas of the plane, in the attempt to find a bomb aboard, and all the while risk being shot down by its own government to protect the entire West Coast of the United States. A timely thriller of true originality, this thriller definitely ranks above other films of 1996, and other action films ever made. Cameron Crowe bursts out of the independent arena into a surprising film which manages to both entertain and tell an endearing love story and a story of the triumph of the human spirit. 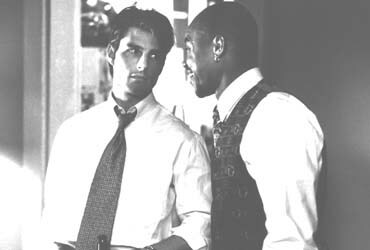 Tom Cruise portrays another real good guy, a man who decides to write up a detailed "mission statement" about his business of sports agents which is his attempt to turn the business back into something of integrity. As a result, he gets fired and tries desperately to start his own business, retaining only one client who sticks with him through it all, a struggling football player, played by Cuba Gooding Jr. in one of his greatest performances. A realistic romance, an inspiring story, and a cute kid all combine to make one of the year's best films. Yet another great film from director Ron Howard, this time a thriller filled with good performances by Mel Gibson and Rene Russo, with Gary Sinise as a superbly evil villain. It's ending is one of the most thrilling, edge-of-your-seat conclusions ever to appear on screen. It's one great thrill ride. I'll be the first to admit that I didn't think the Next Generation crew would ever be able to match the cinematic achievements of the first Star Trek crew. 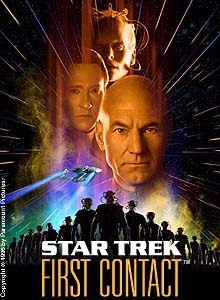 Well let me be the first to say that they not only did it, but created what may well be the best Star Trek film ever made. The Next Generation crew very handily takes over the reins in this well written and thought out story which includes so many of the things that always made Star Trek great -- high adventure, time travel, and perhaps the best reason I like Star Trek -- the hope for a future where we discover the existence of other life forms and other worlds, and our planet unites in one common goal to better humanity. This film adaptation of the John Grisham novel became a well acted and intriguing film which dealt with the difficult issues of racism and the issues of justice in today's society. Samuel L. Jackson gives one of his best performances as a man who takes the law into his own hands when the system lets him down. One of the most enjoyable and downright funny comedies of all time. 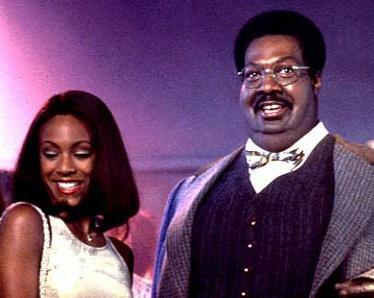 Eddie Murphy deserves an Oscar nomination for his portrayal of not only Sherman Klump, but the performances he does under makeup of all the other people in the film, especially in the two hilarious sequences where he plays Sherman's entire family at the dinner table except for one, which succeeds not just because of the visual effects and makeup, but also Murphy's incredible humor and performance. In addition, it's also an endearing story.